Chef Mario Batali attends the Food Bank for New York City Can-Do Awards at Cipriani Wall Street on Wednesday, April 19, 2017, in New York. 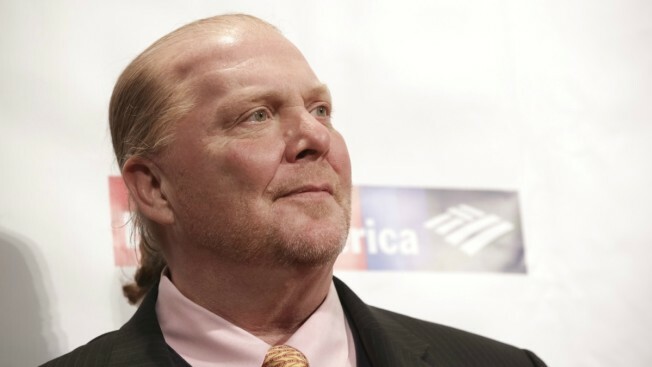 Celebrity chef Mario Batali is officially giving up his restaurants after admitting to sexual misconduct more than a year ago. The partnership between Batali and the Bastianich family has officially dissolved, according to a copy of a letter the Batali & Bastianich Hospitality Group sent to employees Wednesday. Tanya Bastianich Manuali will run day-to-day operations at a new company that will replace Batali & Bastianich Hospitality, according to the letter. The New York Times first reported Batali’s divestment. Manuali and her brother Joe Bastianich bought out Batali’s shares in all of his restaurants, the Times reported. The Batali & Bastianich Hospitality Group manages about 20 restaurants, including New York-based Del Posta and Lupa, according to its website. Batali also sold his stake in Eataly, an Italian chain of food halls that is quickly expanding, according to the Times. In December of 2017, online food publication Eater reported accusations of sexual harassment and assault from four women against the celebrity chef. In an apology to fans via his newsletter, Batali infamously included a recipe for pizza dough cinnamon rolls. After the accusations surfaced, Batali stepped back from his restaurant business, and Eataly removed his products and books from their locations. The Bastianich family dismantled their partnership with the disgraced chef and shuttered restaurants as the backlash continued. At the beginning of this year, the New York Police Department closed three investigations into sexual assault allegations against Batali, citing a lack of evidence to make an arrest. The #MeToo movement led a number of women to come forward in 2017 and 2018 to address a culture of sexual harassment in the restaurant and other industries. Other well-known chefs and restauranteurs who were accused of sexual misconduct include John Besh, Ken Friedman and Charlie Hallowell. Eataly and Batali did not immediately respond to a request for comment from CNBC.